Mike Rennie and Gary Winder are first and foremost farmers. Gary was farming citrus and avocados in the 70s and then began farming grapes. 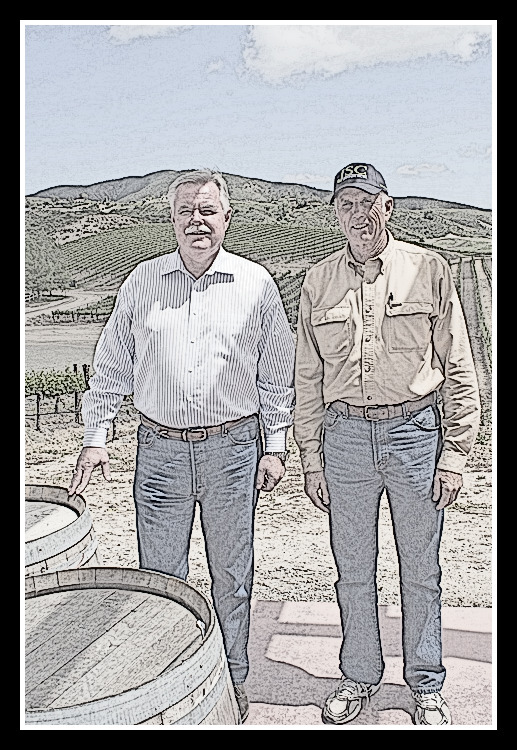 Mike owned a farming company with more than 400 acres of grapes. There were always overages that didn’t get harvested so “it made sense to open a winery.” Like many winery owners, making wine started innocently enough. 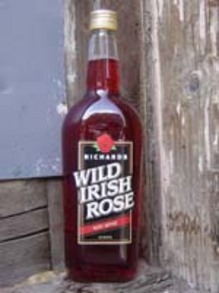 “Slowly it developed to where we bottled some and people started to buy it. 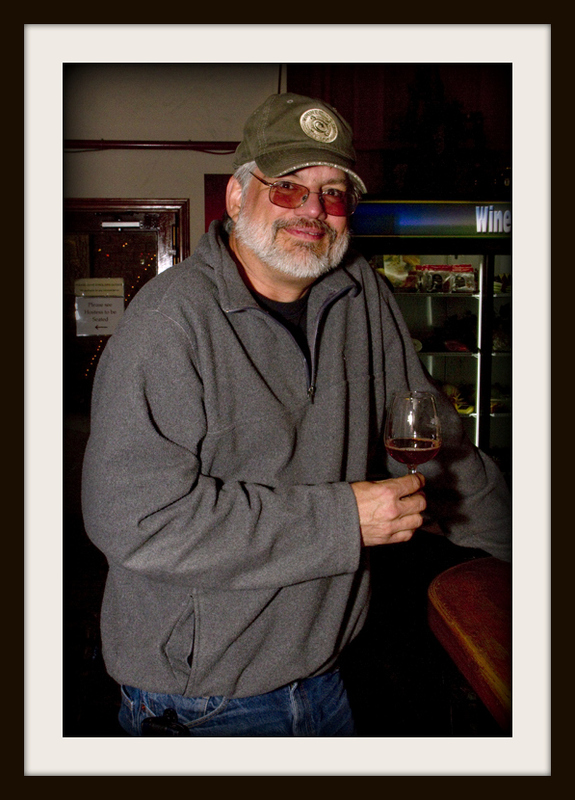 It kind of took on a life of its own.” Mike and Gary decided they’d try their hand at opening a winery. 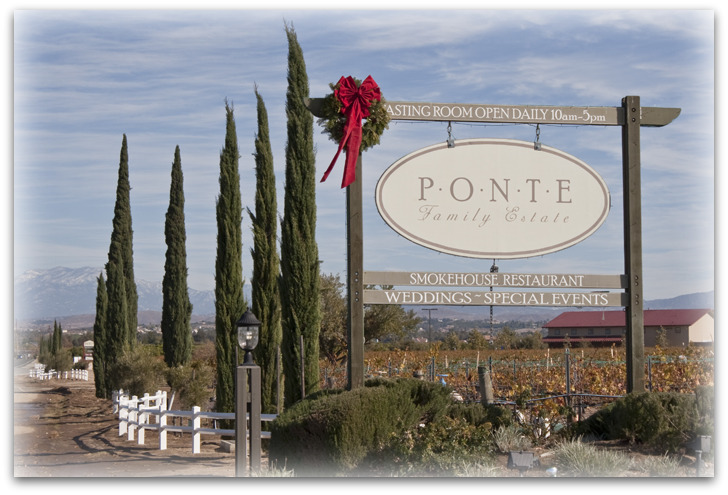 When they decided to locate the winery on De Portola Road, more than a few eyebrows were raised. There were only two other wineries on the road at the time: Keyways and Filsinger. Keyways was open only occasionally; Filsinger was open on weekends only. 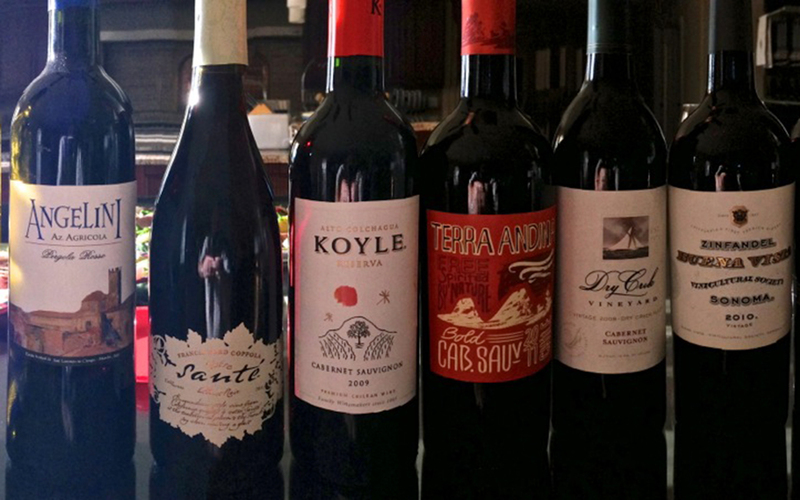 Several owners of wineries on Rancho California Road told them they were making a big mistake. They honestly wondered if they were making a mistake themselves. It was a remote area with little to no traffic. The gamble paid off handsomely. These days the traffic on De Portola rivals the traffic on Rancho California. At times it’s hard to find to find a parking spot on the weekends, let alone a space at the tasting bar. 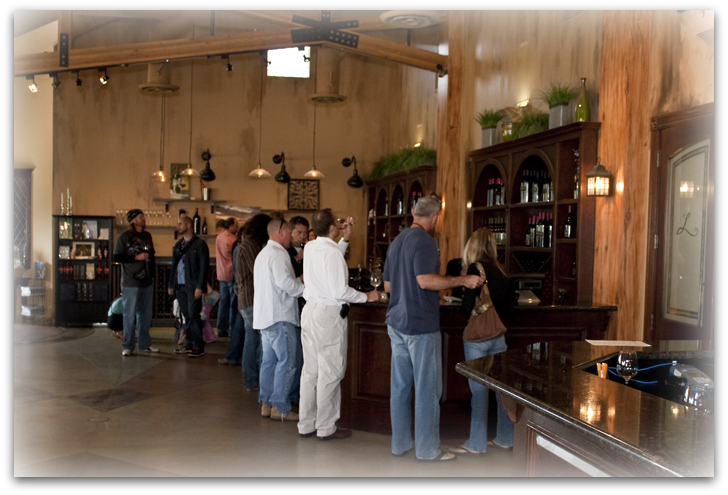 They wound up converting the tractor barn below into a second tasting room for wine club members and events. Mike suggests getting there weekend mornings to avoid the larger crowds in the afternoon. As far as their wine is concerned, they feel blessed to have great soil, tremendous fruit and a top notch winemaker in Tim Kramer. 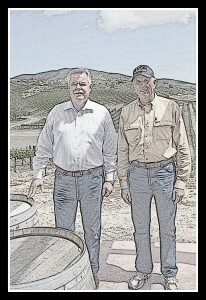 Gary told me they started out simply by planting Chardonnay and Cabernet Sauvignon. He feels it’s an ideal spot for Rhône varietals: coastal breezes cool the vines in the evening and the soil isn’t rocky. They grow Roussanne, Viognier, Marsanne, Grenache, Mourvèdre, Syrah, Zinfandel and Cinsault. Mike says they seem to have acclimated themselves perfectly. He is striving to enhance Temecula’s reputation because he feels it doesn’t have the reputation it deserves. He adds they will continue to plant the best clones on the finest rootstock and do the best job they can. They met Tim Kramer via Gary’s daughter Jessica who was working at Callaway Winery. She told her dad he would be a great winemaker, noting he was motivated, ambitious, hard-working and wanted to get involved. Gary says “It turned out to be a good move.” Mike adds “What struck the two of us was his passion. Without passion, you’re mediocre at best.” Tim reads everything about wine he can get his hands on. The only thing that might rival his passion for wine is his love of the Anaheim Angels. Tim’s wines have garnered four 90 point plus scores in national magazines this year alone: the first Temecula winery to do that. 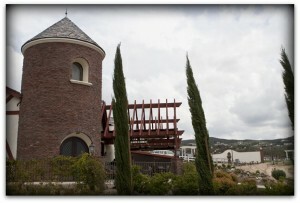 Mike says it shows Temecula can receive national recognition. “The only way to do that is to be very consistent. 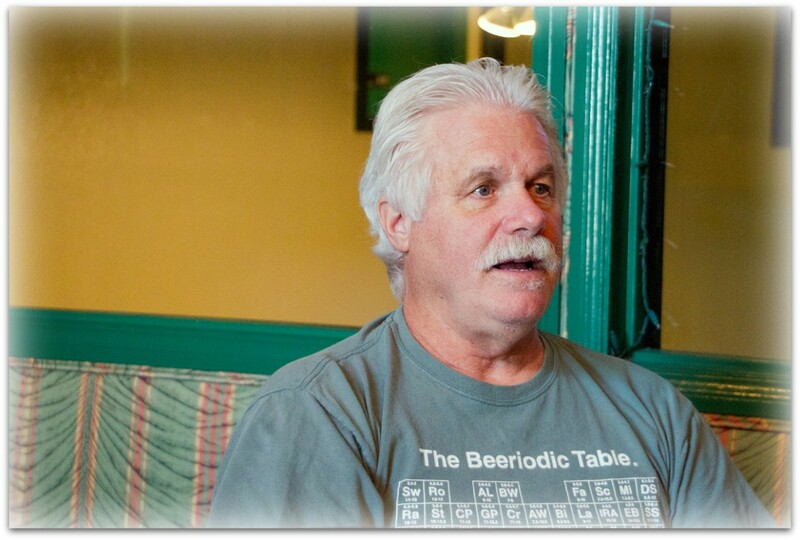 That’s our goal.” Mike and Gary both want their visitors to have a great experience when they visit Leonesse. 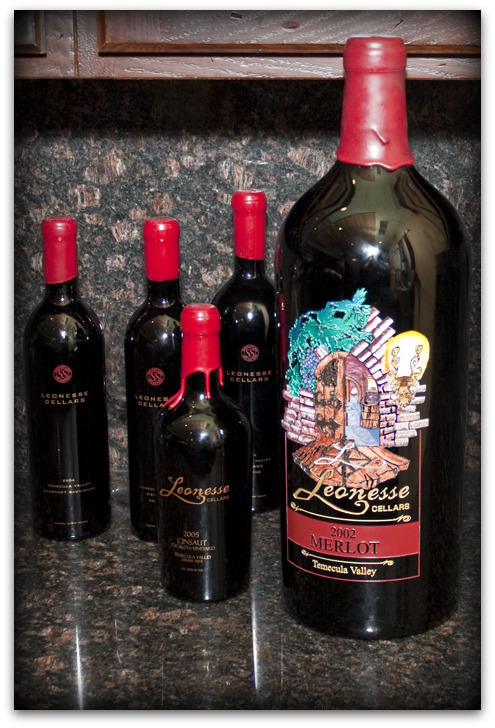 “I want them to have the perfect wine experience” says Mike, from “the quality of the grounds to the beauty of the vineyards.” The Leonesse tasting room looks out over the vineyards and visitors can walk right through the vines. “We want them to have an entire agricultural experience” he adds. “We want to show them Temecula can go to the next level.” Gary wants them to invite their friends and neighbors and hope it becomes their favorite winery. 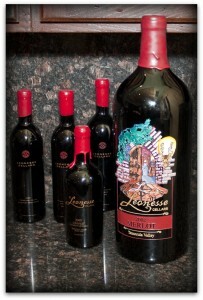 Leonesse Cellars is open daily from 11 – 5 at 38311 De Portola Road in Temecula. 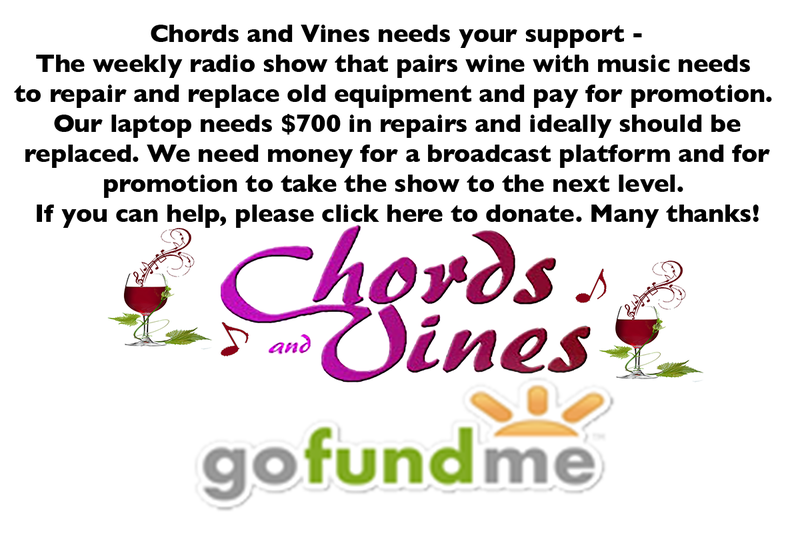 You can phone them at (951) 302-7601 and follow them on Facebook and twitter. 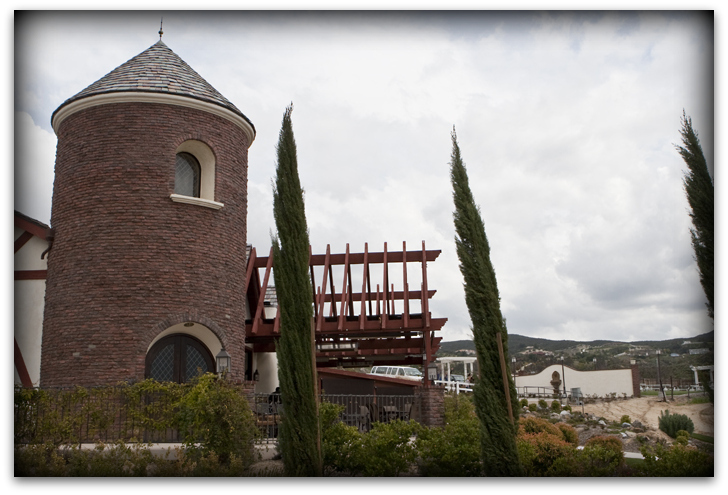 One of my favorite Temecula wineries!!! Thanks, Janice. They really do a fine job. 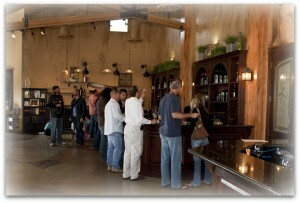 hi mike, your winery is my all-time favorite in temecula. 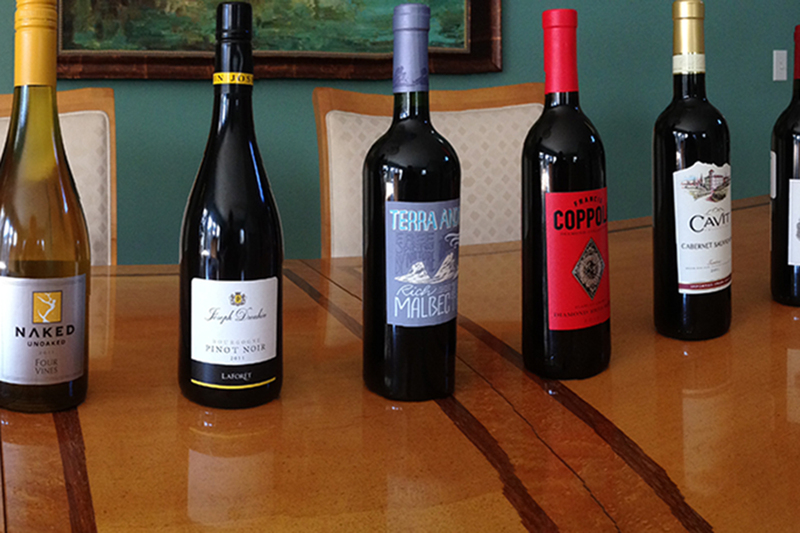 i love your wines, they are fantastic!! especially the white merlot & port. YUM!! hope all is well. we want to come to see you in the summer. say hi to the family. I was just there Saturday. They do a wonderful job.